Welcome to our village by the sea. Whether you're just passing through, planning a longer visit or considering a permanent stay, we hope you will enjoy your time with us. 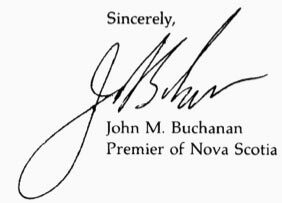 The following is a little snippet of our history written in 1983 by the Premier of Nova Scotia, John M. Buchanan, as the preface to "Chester A Pictorial History of a Nova Scotia Village". Should you wish to dig a little deeper, copies of the book may be found at the Chester Municipal Heritage Society and the Zoé Vallé Memorial Library. The village of Chester, situated on a peninsula at the head of Mahone Bay along our South Shore, is one of the most beautiful and picturesque communities to be found anywhere. A summer haven for generations of Americans and Canadians, the village and its people are steeped in a history of rich and proud tradition. Its history dates back 224 years when it was first settled by New England planters and fishermen. For years, the New Englanders had sailed from the harbours of Massachusetts on their annual spring voyage to the fishing banks. In 1761, a vessel carrying eighteen adults and ten children first dropped anchor in what now is Chester Harbour. The early settlers were the first to receive grants of land in a newly formed township, to which they gave the name of Shoreham. A blockhouse was built to protect the village and its settlers from attack. It still stands today as a summer residence. The original settlers were chiefly farmers, but fishing became a dominant industry as the years passed. Shipbuilding became rather important, as well, and the settlement continued to prosper. It was eventually re-named Chester. Household effects and wooden frames for the houses were brought over in holds of sailing vessels and Chester to this day continues to maintain a quiet air resembling that of a new England town. We, in Nova Scotia, are proud of the Village of Chester and its people. It enjoys a well deserved international reputation for good hospitality and friendliness. I am confident this pictorial history of the Village of Chester will provide many pleasant moments of enjoyment for those fortunate enough to be able to examine it. Reprinted with permission received from Sir Christopher Ondaatje and the Pagurian Corporation.